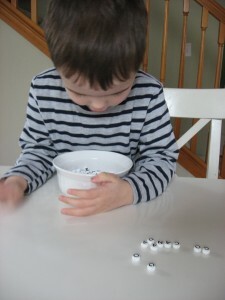 Alphabet Beads – 2 Activities! When I bought these beads I was trying to decide what to make with them , and inspiration struck today. 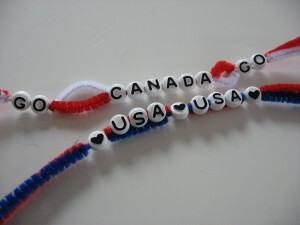 We are going up to cheer for Canada and the USA at the Olympics and decided to make some jewelry for the occasion. Beading was not easy and my son only did a bit, I wasn’t expecting him to do any this is an activity for 5 and up although as you can see younger kids can help! 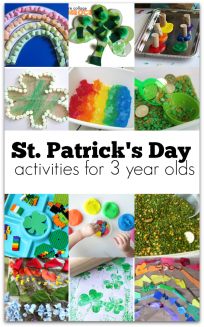 For a great activity for younger ones scroll down! Gather your materials. 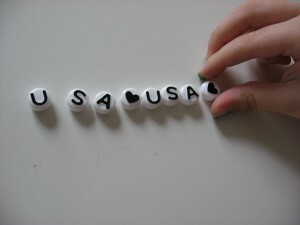 You will need some pipe cleaners ( in the country’s colors you are supporting), and some alphabet beads. Start by searching for the letters. I didn’t ask my son to come help since my plan was for this to be an older child activity, but he came and helped! Thread on! 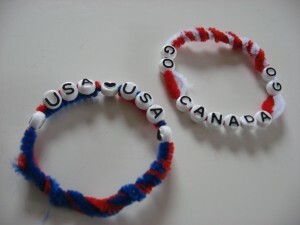 I threaded all the of the beads on and separated the pipe cleaners to make it fancy 😉 For the USA one I threaded the USA on a single pipe cleaner and the hearts on both. 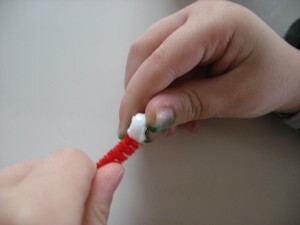 Wrap the ends to make your bracelet. 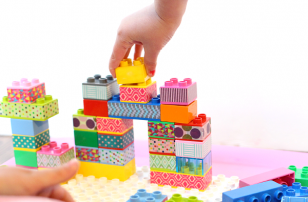 Games don’t have to be complicated to be fun. 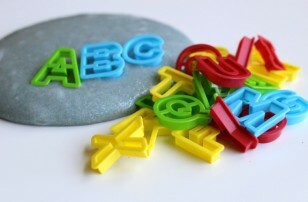 This alphabet game is super simple but easy make and fun to play. The beads are uppercase letters so to make it more challenging for my son who knows his letters, I used lowercase letters in the tin. 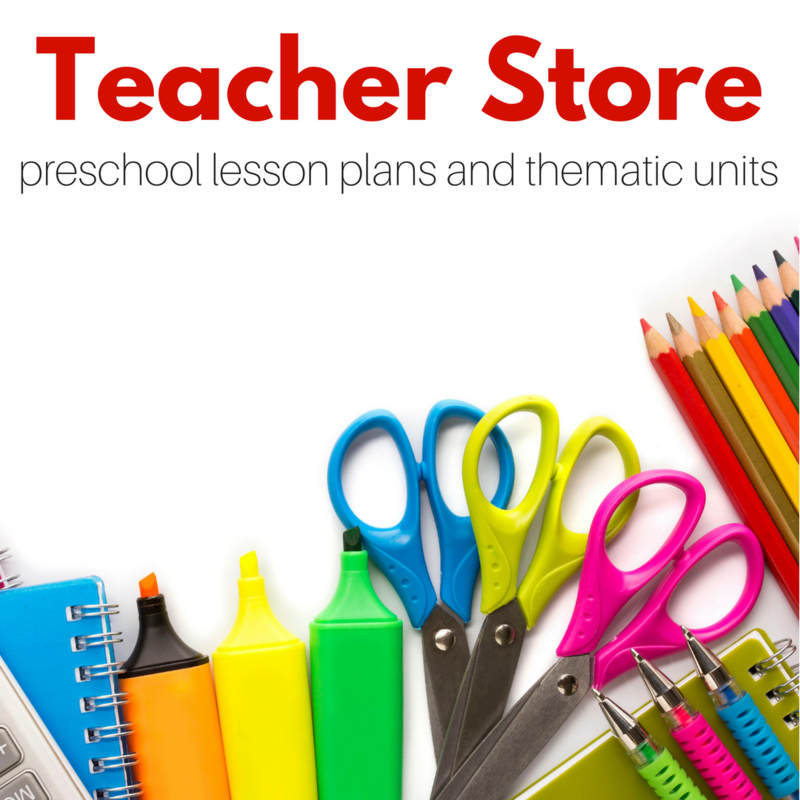 You could use uppercase letters for beginners or even spell simple sight words for more advanced learners. Gather your materials. 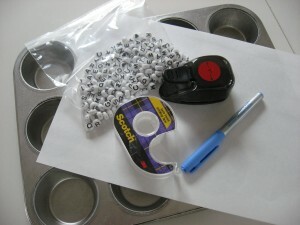 You will need alphabet letter beads, a muffin tin, some paper, a marker , tape and scissors or a circular paper punch. Write out the letters on the paper. 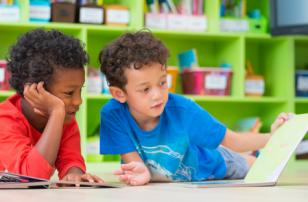 Call your sorting superstar to the table! And have fun, it is a game after all! 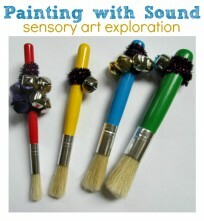 Previous Post: Scented Painting- 5 senses activity! perfect! 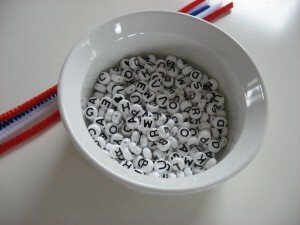 i was just thinking how icould use up those letter beads i bought! thanks! .-= dana´s last blog ..Recipe for Sweet Potato Quesadilla =-. 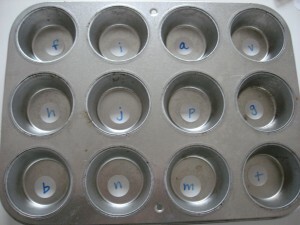 I love the muffin tin one! We’re having a hard time recognizing the lowecase letters so this is a perfect activity for us! .-= Kim´s last blog ..Ladybug Light Switch =-. 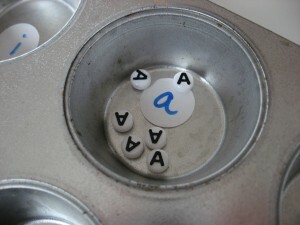 Where can I find the letters and the circle punch? Would Walmart have them or would I need to go somewhere like Michaels? Thanks! .-= Babs´s last blog ..Hearts4Haiti =-. especially love the matching game. we have letter foam stickers we could use. my 4 yr old has trouble recognizing all of his lower case letters. where did you get the letter beads? i think my 4 yr old would really like them b/c he could spell his name and his brothers’ and have their own bracelets. are you really getting to go to the Olympics? how fun! 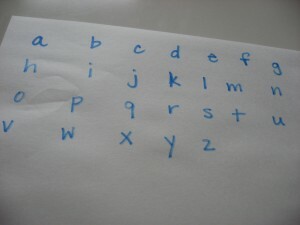 Thanks for the great idea with the upper- and lowercase letter matching. We’re in the middle of all of that here. Inspiration is appreciated! .-= Jenni´s last blog ..â€œNewâ€ Foam Soap =-. We got the beads at Walmart , I have seen them at Michael’s too. We are going up to see some hockey- we figured that something that isn’t dependent on weather, has bathrooms and food would serve a pregnant mom and 3 year old best! I am seeing a women’s hockey game and my son is seeing that with me ( and husband) and then a men’s game as well just with my husband. I will do a post about taking little guys to major sporting events after. very cool. can’t wait to read about the adventure! I can’t tell you enough how much I love your website! So many great ideas. You posted in the past about how you cut out foam shapes to build a robot, haunted house, and snowman. I used that same idea to build TRUCKS and posted about it on my blog littlefamilyfun.blogspot.com. It turned out to be so much fun! I linked to your post about robots so people can see where the general idea came from. Thanks for your inspiration! .-= Jackie Lee´s last blog ..5 Easy Tips for More Sustainable Living =-. We are on the same wavelength this week! Grace and I have been threading beads on pipe cleaners for a couple of weeks. We’ve been doing colors and patterns, though. I don’t have any letter beads. That would be a great place to go next. .-= Tara @ Feels like home´s last blog ..Ode to Daddy =-. I love how you are purposeful about his learning with verbal reinforcement. for example: “choose another upper case letter” Sometimes I forget to say “uppercase” and “lowercase” and yet that is so important. we will definitely be doing this activity over the summer! LOL only other teachers would pick that up 😉 It drives me bananas when adults call uppercase “Big” and lowercase “little” . It’s fine if they are describing the size of the letter but when they label it that way my teacher ears burn.